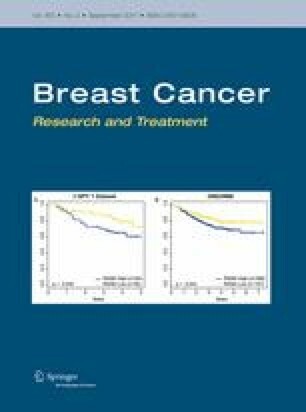 To explore differences in opioid use across different adjuvant endocrine therapy (AET) regimens, factors associated with opioid use, and the impact of opioid use on overall survival in female breast cancer patients treated with AET. This retrospective study analyzed 2006–2012 SEER-Medicare datasets, following patients for at least two years from the index date, defined as the first date they filled an AET prescription. The study included adult women with incident, primary, hormone-receptor-positive, stage I–III breast cancer. They were also first-time AET users, and fee-for-service Medicare enrollees continuously enrolled in Medicare Parts A, B, and D. The main independent variable was the AET regimen. We measured whether patients used opioids after the initiation of AET. After the adjustment of inverse probability treatment weights and unbalanced covariates, the average treatment effect probabilities of opioid use were similar between those who used aromatase inhibitors (AI) only and those used tamoxifen (TAM) only (56.2 vs. 55.3%, respectively). Opioid use probabilities for those who switched from AI to TAM were higher than those for the TAM-only and AI-only groups. Opioid use was also significantly associated with AET non-adherence. Opioid users had a significantly higher risk of death (adjusted hazard ratio [HR] = 1.59, p < 0.001). Switching from AI to TAM was associated with a high likelihood of opioid use. Opioid use was significantly associated with AET non-adherence and higher risk of mortality in female Medicare beneficiaries with breast cancer even after adjusting for adherence.